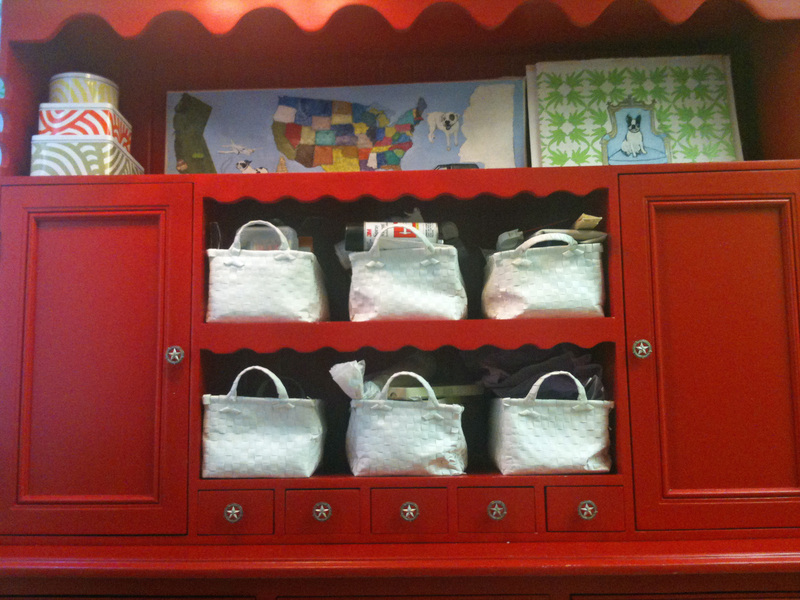 The Beverly Hills Mom » Love it when my organizational OCD pays off! This entry was posted on Saturday, May 1st, 2010 at 3:53 pm and is filed under Books, Events, Interiors, Kid's Arts and Crafts, paintings. You can follow any responses to this entry through the RSS 2.0 feed. You can leave a response, or trackback from your own site. As part of the Big Edit, I had to consolidate all my art media. This was no small task, as I have a lot of it – a lot. Since I have tools and paints, pens, pencils, pastels, acrylics, oils, paintbrushes, watercolors, casein, gold leaf, spray paints, glues, tapes, casting/sculpting supplies, and mixing mediums. All of these needed to be separated by type of use, i.e., I have paintbrushes for gesso, acrylic paint, for glazing pastels, and for watercolors. I have chalk for the Critter and chalk for grinding into paint. I haven’t even mentioned the crayola and play doh Xanadu that I am collecting and doling out in the daily art projects for the Critter! Clearly something was needed to tame the beast. 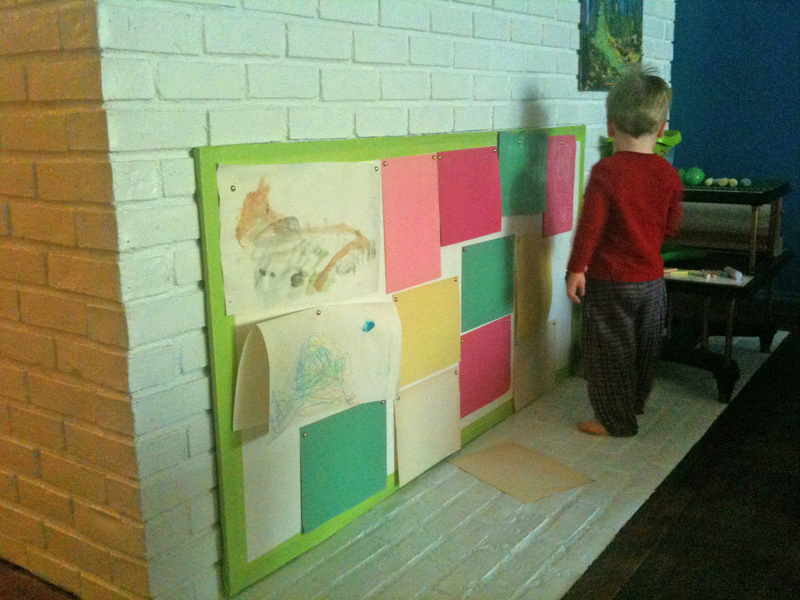 No one really understood when I bought this behemoth of a hutch and said it would go in the kitchen. 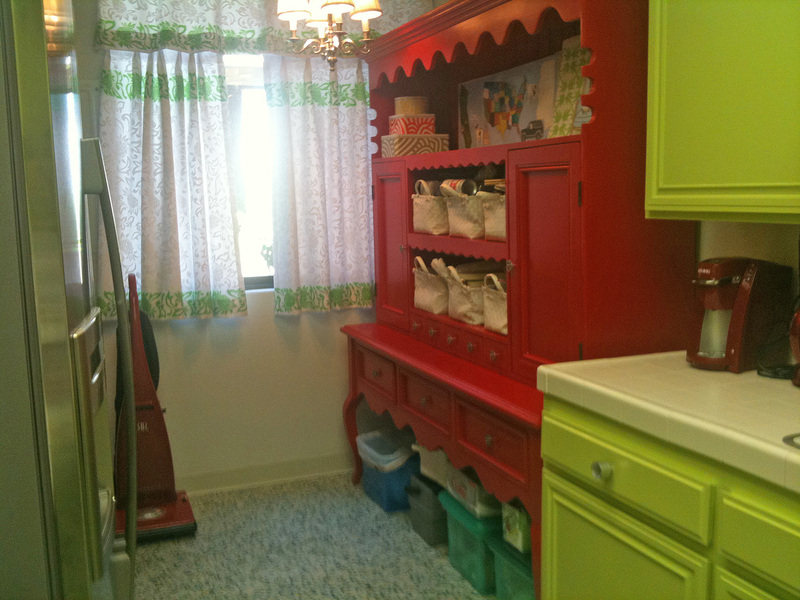 The painter thought I had lost my mind when I told him to paint it red, especially when he knew the kitchen was green. It took me another two months to decide on the knobs to replace the originals that I hated. But today I was vindicated. “That red thing” in the kitchen is now it’s official title: the Art Cabinet. When the Critter needed some chalk for his construction paper creation that we put together on his project easel (aka that thing hiding the fireplace until we aren’t afraid the Critter will burn himself), I knew exactly where said chalk was residing. It’s the small victories these days that make life worth living. If I had enough time I would show you every container that houses every supply, but this will have to do for now – I have a “date” tonight! But don’t worry; my Perfect Husband knows all about it. Tonight I am going on another momblogger internet date with other moms I don’t know – tonight I will join with these moms for a diaper drive to Help a Mother Out. I am looking forward to visiting with them as we help some mothers out!